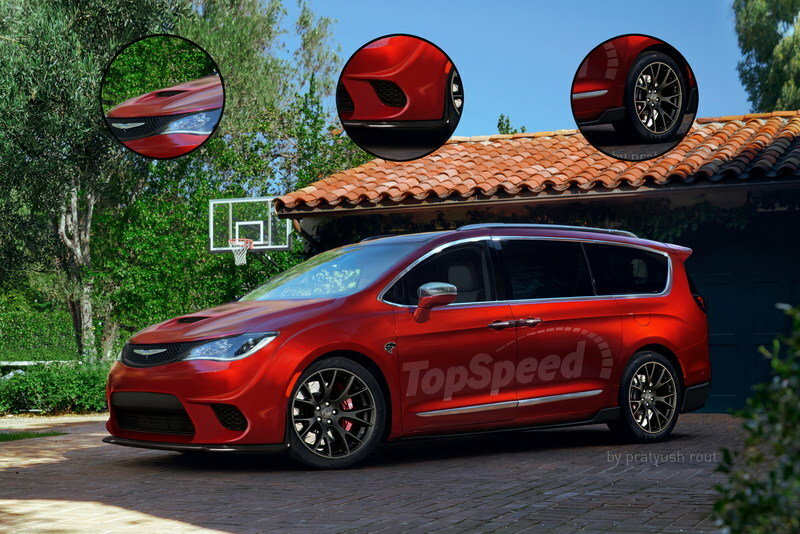 FCA’s Ralph Gilles Announces 707-horse Minivan! Fiat Chrysler Automobiles is building a Hellcat-powered Pacifica minivan! That’s what Ralph Gilles, FCA’s Head of Design, tells TopSpeed in an exclusive phone interview. The automaker, with the help of SRT’s engineering team, will produce the heavily modified family-hauler for the 2017 model year. 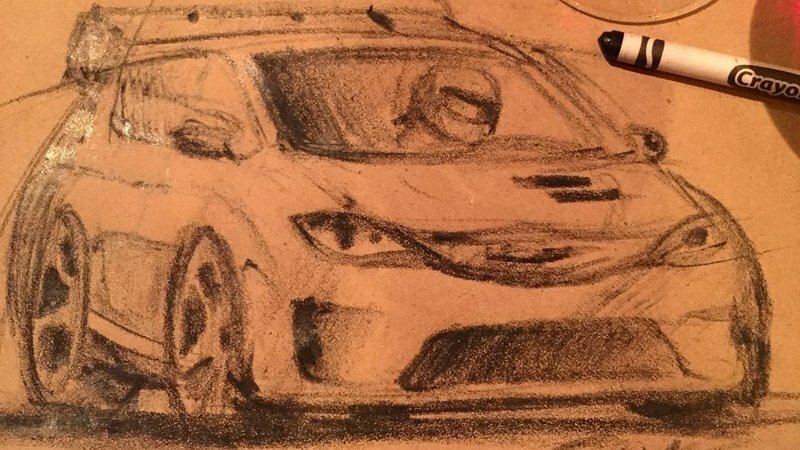 You may recall Gilles’ January Instagram post of a hand-drawn sketch showing a low-slung Pacifica-looking vehicle with low-profile tires on large wheels and pronounced aerodynamic features. The post, which has received more than 700 likes and 60 comments, started the Pacifica Hellcat rumors. “The Instagram post was something done in pure fun over dinner,” Gilles said in the phone interview. “But it quickly turned into something else. It made the email rounds here at the office and soon ended up in Sergio’s inbox.” Gilles laughed, saying he thought he was in trouble when FCA CEO Sergio Marchionne called him into his office. “Mr. Marchionne didn’t sound amused when he paged me, but when I walked in his office, he had my sketch printed out. ‘Can you build it?’ he asked. I told him ‘absolutely.’” Gilles admitted the project requires a sizeable investment, both in cash and engineering hours. SRT’s engineering team is handling the project. The Pacifica‘s chassis is being completely reworked in order to fit the Hellcat V-8, eight-speed automatic transmission, and AWD configuration. Gilles says the powertrain is borrowed from the upcoming Jeep Grand Cherokee Trackhawk – itself a Hellcat-powered SUV with AWD. Though the final design hasn’t been set in stone, Gilles did give us a few ideas how the high-powered minivan will look. “It’s the perfect sleeper,” he chuckled during the candid conversation. We then had our in-house designer construct what the Pacifica Hellcat might look like. There’s also more details about the vehicle past the page break. 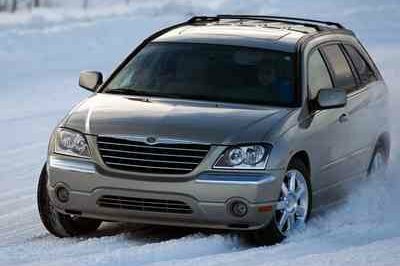 Continue reading to learn more about the Chrysler Pacifica Hellcat. It’s hard to believe, but the Pacifica’s all-new design makes a fantastic blank canvas for Gilles and the SRT team. The minivan’s overall design won’t change, but nearly every panel will get some minor tweaks for better aerodynamics. Up front, the lower grille is enlarged to help cool the supercharged V-8. The intercooler resides directly behind the honeycomb mesh, with smaller air ducts on either side providing fresh air to the front brakes. The hood further foreshadows the Hellcat V-8’s presence with its large center scoop. The air scoop not only recalls the Dodge Charger and Challenger’s hood design, but also provides cooling for the supercharger. The 14-spoke, 20-inch wheels found on both the Charger and Challenger Hellcat are adapted for the Pacifica. They will come wrapped in the same 275/40-series Pirelli P-Zero rubber. Peeking through the wheels are similar slotted rotors with six-piston calipers painted in red. A carbon-fiber lip runs around the entire van, with small aero fins protruding both fore and aft of the rear wheels. The rear bumper will feature a large diffuser to help manage airflow coming off the underbody belly pan. Subtle Hellcat badges will reside on the front fenders for the final effect. Beyond that, the Pacifica Hellcat will look nearly identical to the Pentastar-powered version – speaking directly to the “sleeper” attitude mentioned by Gilles. Gilles says the interior will receive plenty of updates as well. 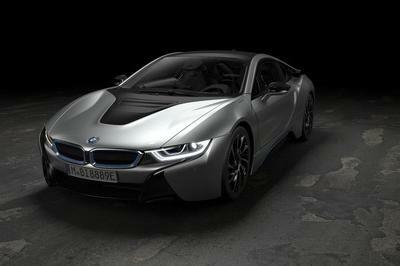 The first and second row seats will feature heavily bolstered leather-trimmed seats with Alcantara inserts. The Hellcat logo will be embroidered onto the headrests. Sadly, the Pacifica’s Stow’n Go seating and lower center stack had to be ditched and modified to accommodate the transmission tunnel and rear drive shaft. Third-row seating is still in place, though the three-person bench no longer folds flat. That’s due to the raised rear floor built to accommodate the bespoke independent rear suspension. Behind the wheel, the Pacifica’s dashboard is mostly a carryover piece. 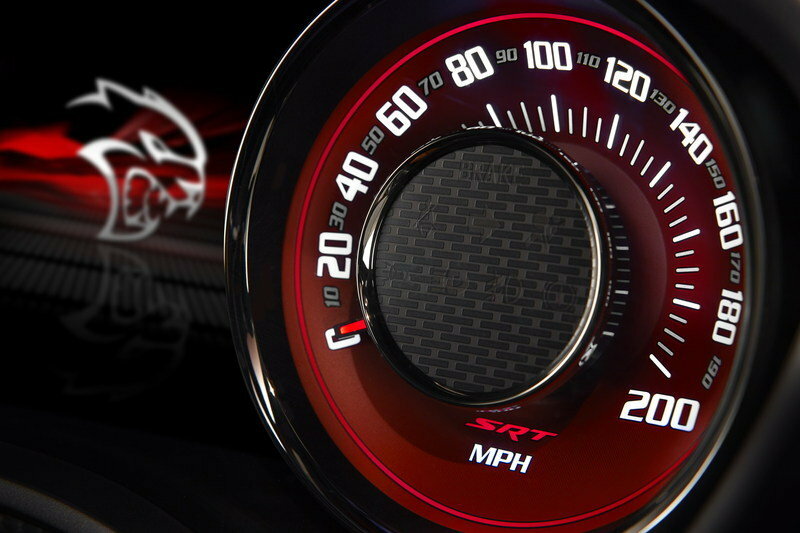 The gauge cluster will be updated with red-faced gauges and white numbering, just like the Charger and Challenger Hellcats. The trim piece around the gauge cluster and center stack will be carbon fiber, as will the trim around the rotary gearshift knob and HVAC controls. The steering wheel will feature leather wrapping accented with an Alcantara strip along the perimeter. Despite the lack of Stow’n Go seating and a folding rear bench, the Pacifica Hellcat will still haul seven people with room in the rear for cargo. That’s great news for those wanting the performance of the Charger Hellcat but need the extra room for people. Now to the meat and potatoes. 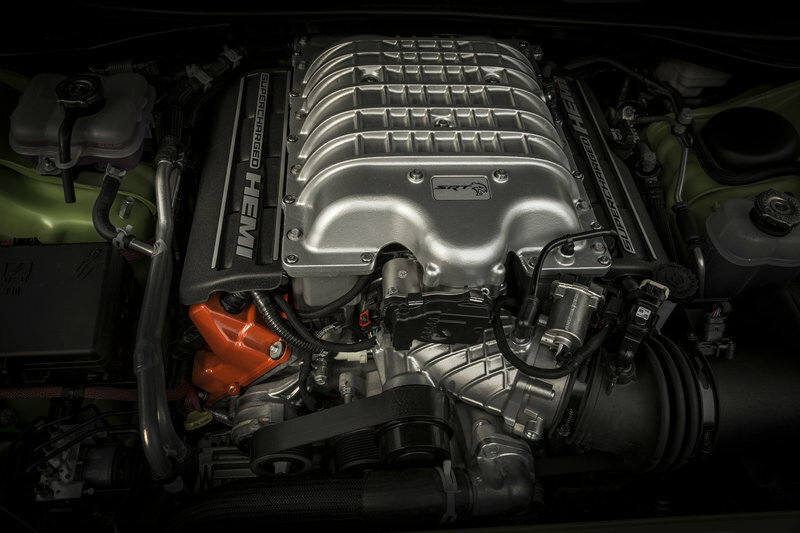 Gilles says the SRT team is working overtime to shoehorn the 6.2-liter supercharged Hemi V-8 into the Pacifica. The placement of pieces likes the radiator and drive-belt accessories have yet to be finalized, but the general layout has already been agreed upon. The longitudinally mounted V-8 will consume some interior space, but thanks to the forward placement of the front axle, the Pacifica Hellcat will essentially have a front mid-ship design. Only the front two cylinders will lie ahead of the axle’s center line. 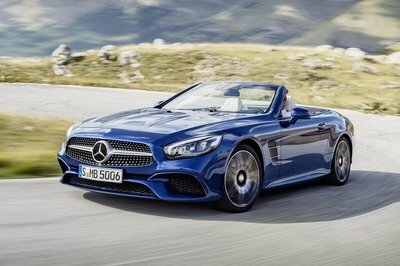 The eight-speed automatic and full-time transfer case reside between the front seats and into the second row. Like the Grand Cherokee Trackhawk, the second driveshaft sends power to the front wheels though a limited-slip differential. The rear axle will also feature a limited-slip differential. 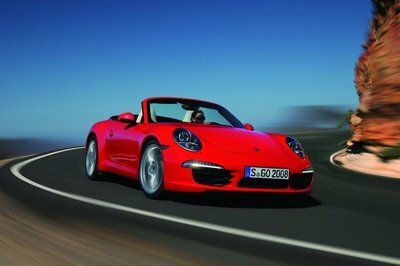 High-strength half-shafts will send power to the rear wheels, which are held in place via a double A-arm, independent suspension. MacPherson struts work with thick anti-roll bars both front and rear to thwart any unwanted body movement. 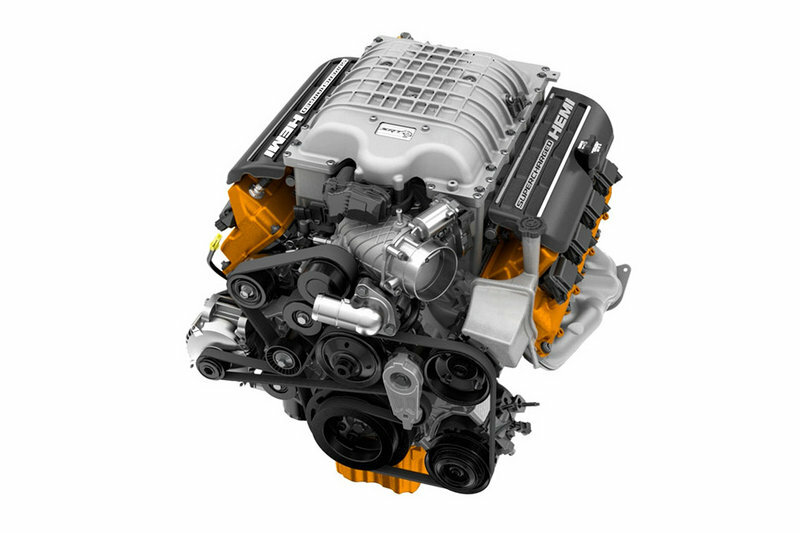 Just like the Charger, Challenger, and Grand Cherokee, the Pacifica’s Hellcat V-8 will produce 707 horsepower and 650 pound-feet of torque. Thanks to the AWD system, the Pacifica Hellcat is expected to hit 60 mph in a blistering 3.6 seconds – or at least that’s the goal of the SRT team. Gilles says the Pacifica Hellcat will weight roughly the same as the Charger Hellcat. The Pacifica weights 4,330 pounds in its normal configuration, but because of the added powertrain weight, it’s expected to match the Charger’s 4,600-pound curb weight. That, along with the added aerodynamic drag of its larger body, will make the Pacifica Hellcat two-tenths of a second slower. Still, "slow" might not be the best adjective when describing a minivan that hits 60 mph in less than four seconds. The Pacifica Hellcat will feature the same Drive Modes as the Charger and Challenger, allowing the driver to dial in the performance parameters he desires. The minivan will also come equipped with both the black and red key fobs. Gilles says FCA is still working out the details about pricing, but we fully expect the Pacifica Hellcat to start in the $70,000 range. That’s completely understandable considering the engineering involved, the AWD system, and the sheer cost of the Hellcat engine. More detailed information should become available closer to its on-sale date. The 2017 Pacifica Hellcat might not be officially announced, but our conversation with Gilles makes us completely confident the project is well under way. We suspect the minivan will make its debut at the LA Auto Show in November to a crowd of excited fans. Before then, we’ll keep our eyes open for any pre-production testing mules running around the Chrysler proving grounds. Though the idea of a 707-horsepower minivan seems ridiculous, FCA and its SRT division seem dead set on building the most radical and awe-inspiring vehicles sold on U.S. soil. After all, 500 horsepower and sub five-second 0-to-60 mph times are practically commonplace these days, so standing out takes extra work. One thing is for sure: the Pacifica Hellcat will be in a league all its own for quite some time. 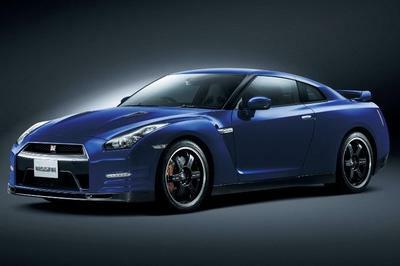 Don’t expect Toyota, Honda, or Kia to counter with anything half this fast.